I have been trying to discipline myself to stop painting and concentrate instead on producing a book but that’s going so badly I fall off that wagon and paint now and then. 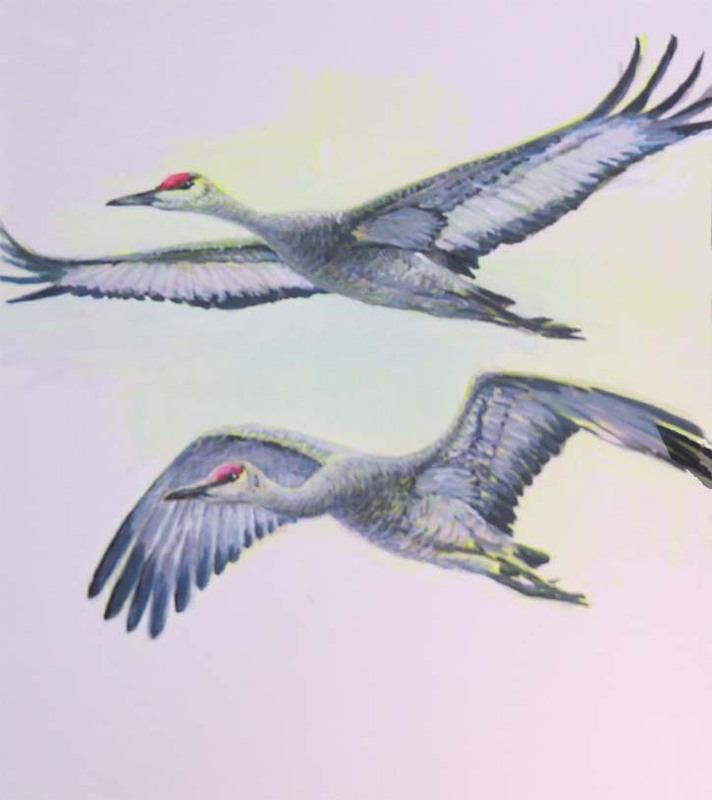 One thing I hate is not having a new Sandhill Crane painting in case the Sandhill Crane Festival in Othello asks in the new year. Since I had a fantastic reference shot by Dr. Dennis Paulson of flying cranes on hand I thought I should paint some Cranes just in case. Below is San Juan Spring, an old painting of mine that suffered in the pre-digital era from a dullish printing. I digitally forced it into new sizes and here’s one of them, a 12 x 36 that’s available now at the store and the on-line store just a few electrons away from here. And the next one, below, isn’t so much painting as publishing but I’m going over old painting transparencies and getting them shot to psd files and that resulted in this new skinny that’s a combination of young and mostly older paintings. 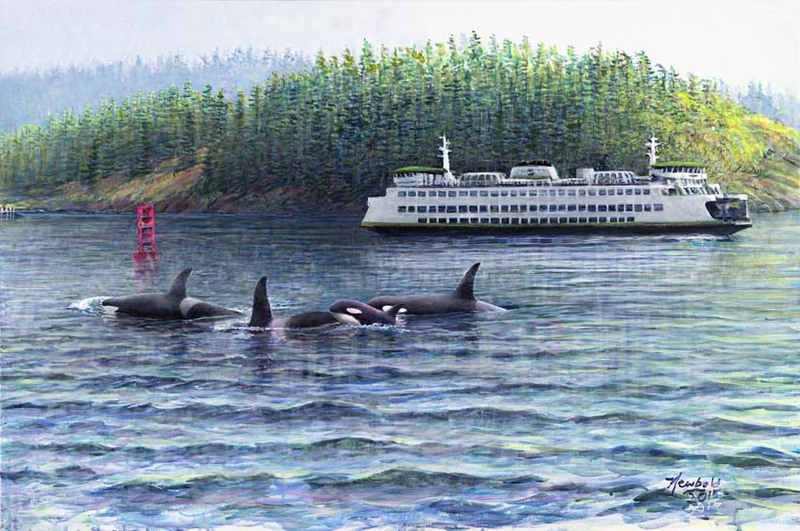 I’ve been doing a lot of compulsive dinking around (my favorite thing) on the painting below–Whales Starboard–which every now and then I think will be a worthy replacement for Orcas at Deception Pass, the limited edition print of which will pretty soon be sold out, assuming things go on as they have been. 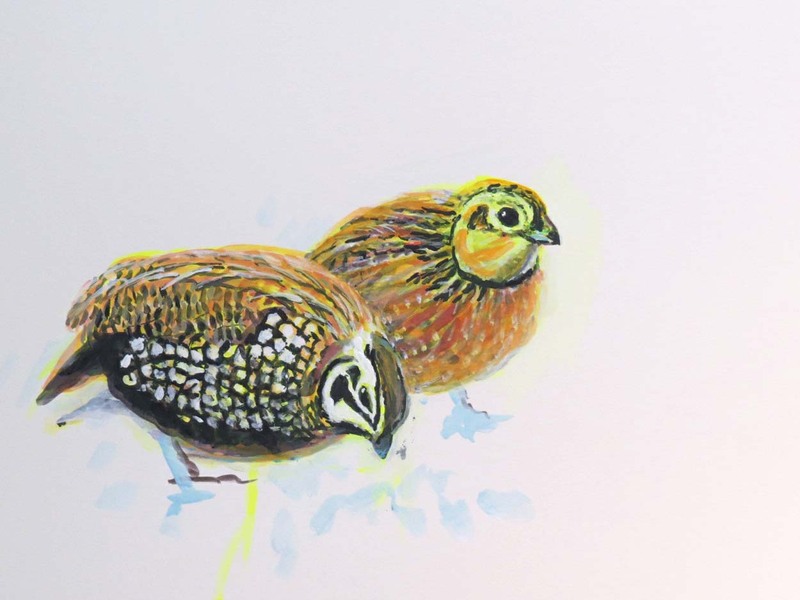 I started this painting of Montezuma Quail and I’m just putting it up as a counter point to Sandhill Cranes. Not looking too good so far. I’ve been stringing this Hedgehog painting along way too slowly. It only needs a couple more sessions, hope to finish ASAP. 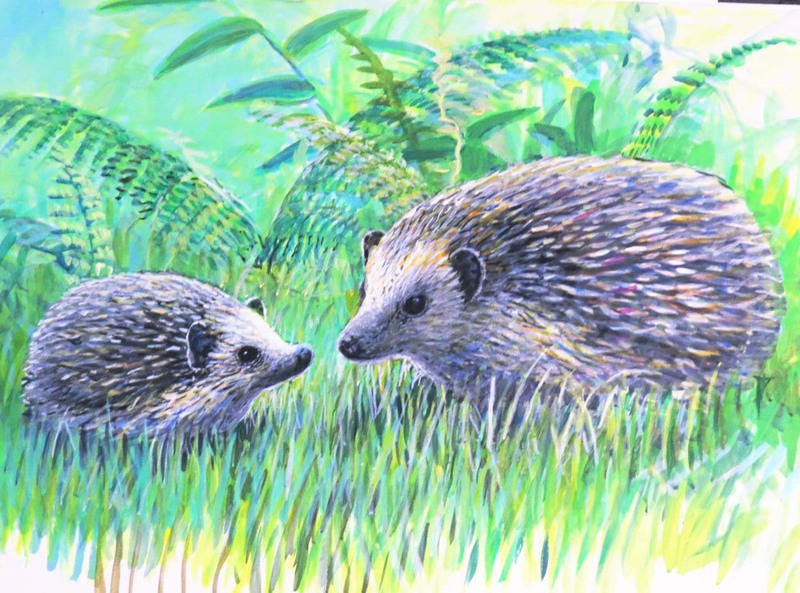 (see last edition of what’s on the easel for why I chose to paint this English (Eurasian) critter.